My mom is the homemade ice cream cake champ. Growing up, she would make her signature homemade ice cream cake for my dad, sister and I for our birthdays, and always let us choose the ice cream flavor. Sometimes she’d mix in surprises like peanut butter cups, chocolate chunks, or my favorite—globs of peanut butter. Her cakes were pure, divine yumminess. And I probably have a photo of me cheesin’ big time in front of a homemade ice cream cake for every birthday I had until I graduated college. So, yes—I kind of miss them. That is, until now. Eventually, it hit me that all the components of my mom’s homemade ice cream cake can easily be made without the refined sugar—and completely gluten and dairy free if needed with some easy swaps. 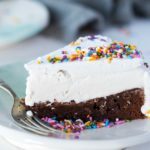 This homemade ice cream cake uses an almond butter brownie recipe for the base, your choice of dairy-free ice cream, and whipped coconut cream for the topping. In short, I’m super happy to have my homemade ice cream cake back in my life—and to share it with all of you. 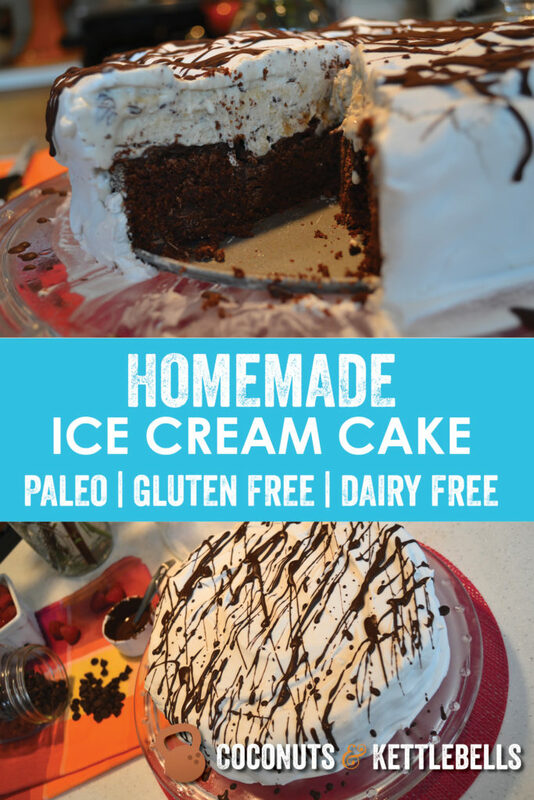 When making this homemade ice cream cake, you have the option to use any dairy-free ice cream flavor of your choice. There are quite a few coconut milk ice cream flavor options now at speciality grocery stores, and almond ice “creme” is also making its way onto shelves. With this recipe, you’ll need to make the brownie layer the night before, and put in the freezer overnight. You’ll also want to place the cans of coconut milk in the fridge so the coconut water separates to the top. The next day, you’ll be able to make the whipped coconut cream topping, and assemble the entire cake. It will need about 2-3 hours in the freezer after assembly to solidify. Now, to use one of my dad’s favorite birthday quotes… Let them eat cake! 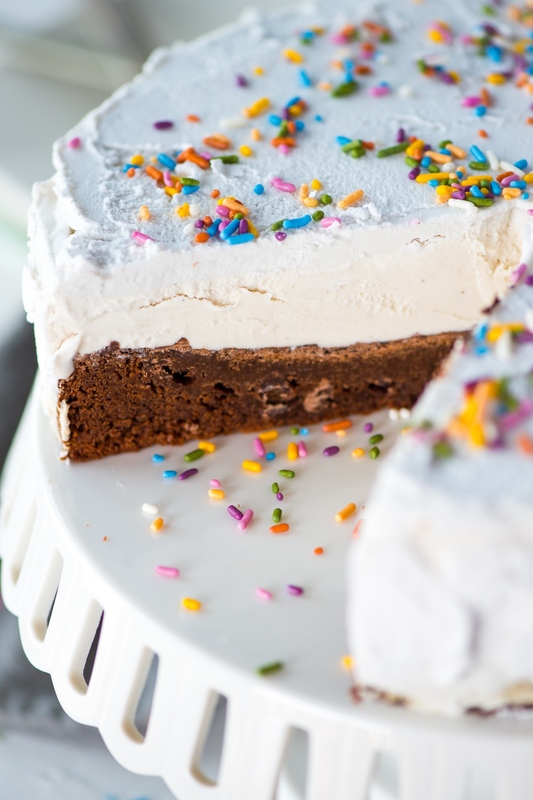 Have you made this homemade ice cream cake yet? 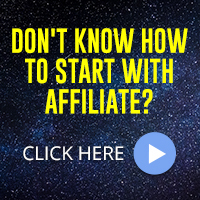 Post below and let me know if you do! The post Homemade Ice Cream Cake appeared first on Coconuts & Kettlebells.